Port city Cozumel in Mexico. 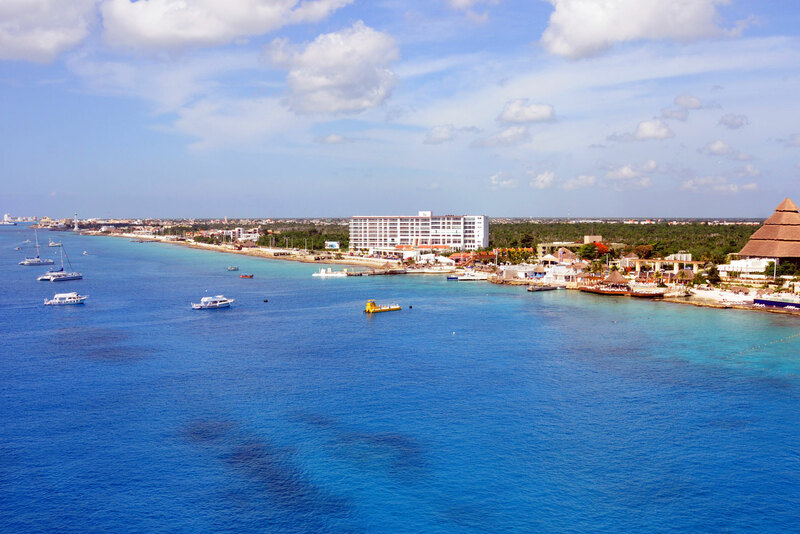 Must-see destinations to make the most of a seven-hour stop off in Cozumel, Mexico. • Wonder at the Mayan ruin of San Gervasio, thought to be a sanctuary of Ixchel, the goddess of fertility; its history stretches from 100BC to the 16th century. • Walk the streets of El Cedral, a village built around the ruins and dating back to 800AD. • Located in San Miguel, the main town in the area, the Museo de la Isla de Cozumel details the Mayan history of the island, with a thatched Mayan hut (or na) located in the courtyard. • As the name suggests, you can go swimming with stingrays at Stingray Beach; it’s all very safe for both you and the creatures themselves. • Walk the streets of San Miguel taking in the hustle and bustle and colour of tourists and street vendors and locals.